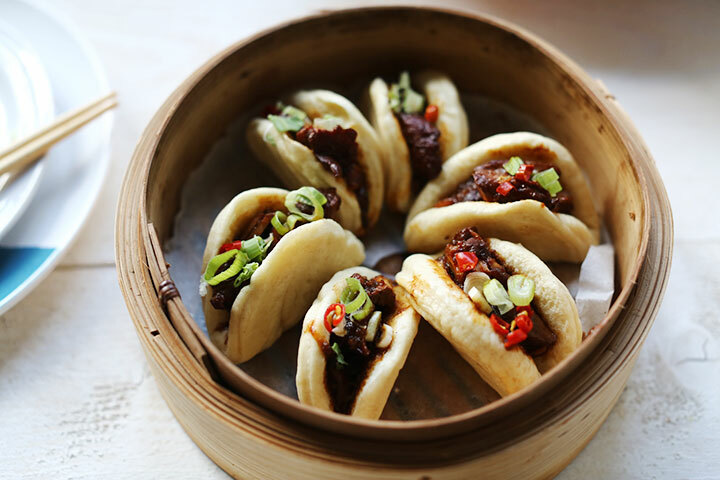 Here's our collection of fun and easy bao zi recipes. All the bao zi recipes have step-by-step instructions. We hope you love them as much as we do! After a couple of sweet favorites it is time for a savory one and this spicy soy pork is such a great recipe. I love soft tender meat and a great combination with Chinese steamed buns. It tastes just like the first bapao I ever had. Do you want to learn my favorite how to make spicy soy pork recipe? Lets get started!